If you love hot peppers, you should try growing your own! The experience is exciting, and the results are tasty and fresh. And, it’s easy! All you need is potting, soil, water, and light. As long as you have a bit of space for a setup, you can get started any time of the year, even if it’s mid-winter! But step one: where can I buy pepper seeds online? 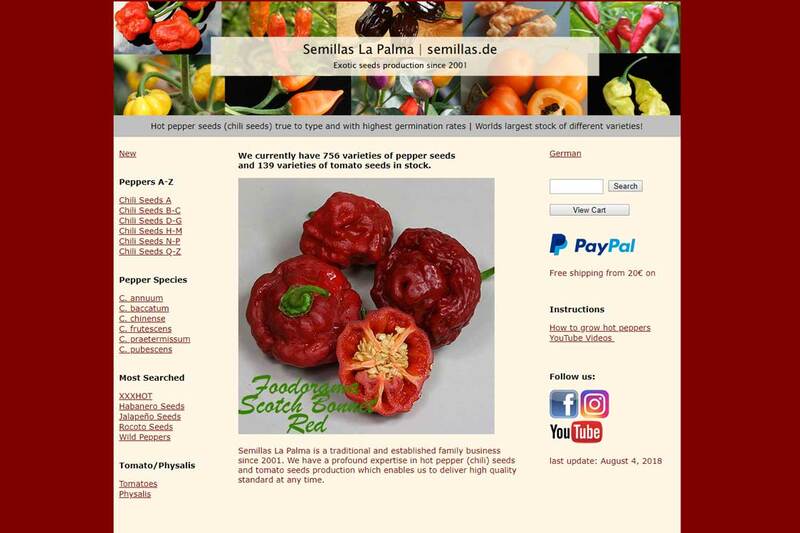 Here are 5 online shops that sell a large variety of seeds – (hot or not). What’s great about RareSeeds is the online interface. You can choose the color pepper, as well as the level of spiciness. With over 60 varieties of spicy peppers (and many non-spicy), you should be able to find what you’re looking for. Semillas La Palma is based out of the Canary Islands. They sell over 700 varieties and claim to have the world’s largest variety of pepper seeds. The only drawback is the online ordering interface – its a little tricky. 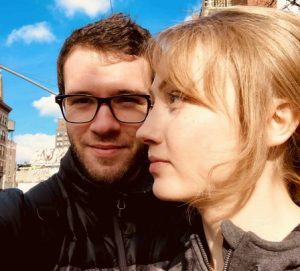 But if you are looking for something unique and rare, this site is worth exploring. Pepper Joe’s is a modern website with a colorful aesthetic and a simple checkout process. The selection is more limited, with a heavy focus on very hot peppers. Pricing slightly higher than competitors, but is still reasonable. 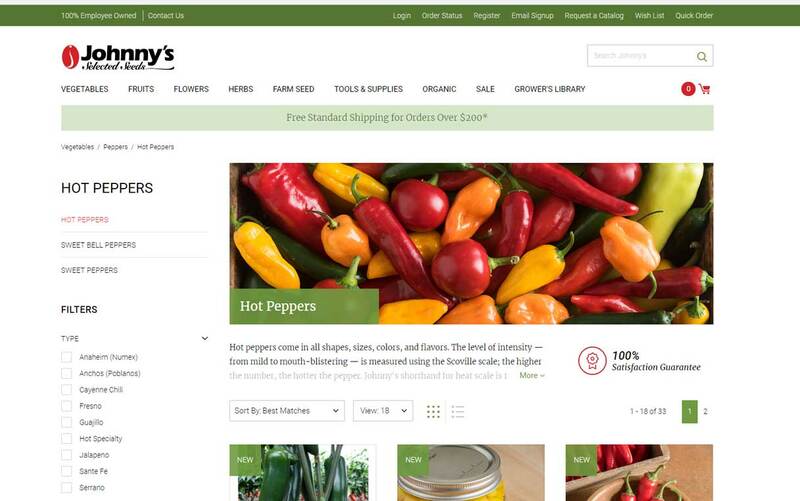 Johnny’s Seeds has a beautiful website and selection. They are not tailored to hot pepper lovers, but they do have plenty of spicy options. Worth a look, especially if you are not set on only hot peppers. 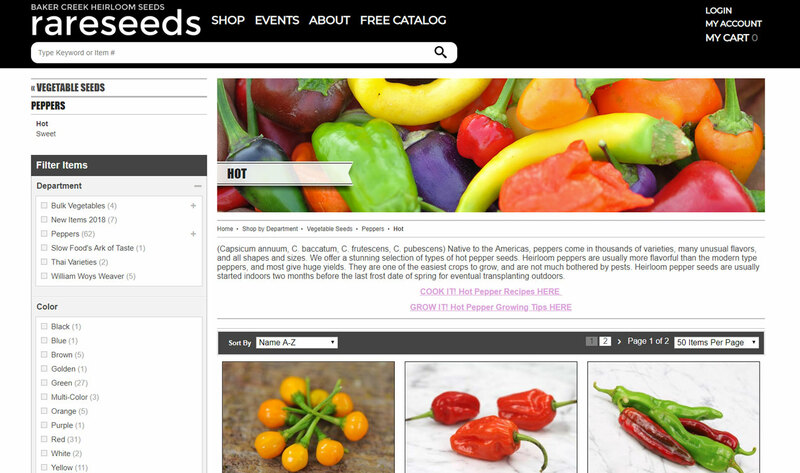 SeedsNow has a smaller catalog, but they carry some unique varieties. It is a nice middle ground between a huge selection and unique variety. 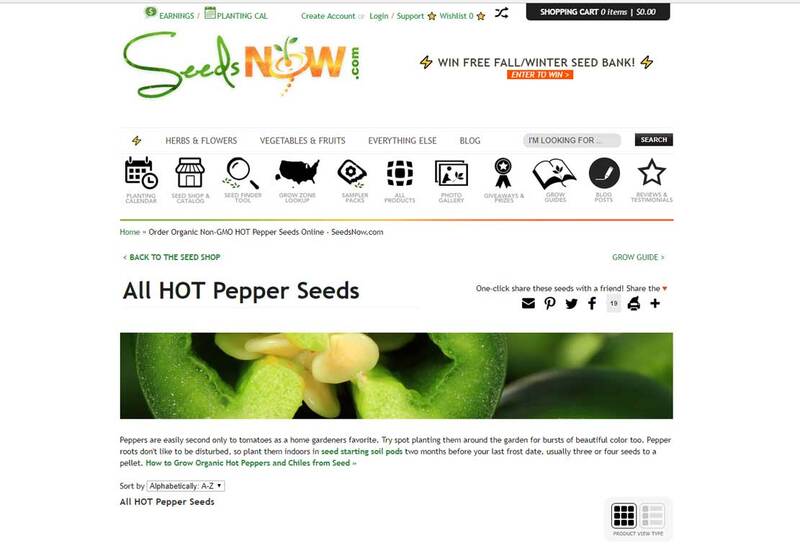 This is a great resource to visit on your pepper seed search. We love their variety of organic seeds. They have some useful tools available on the website, including a planting calendar and a grow zone lookup.